Last week I started talking about outlining, specifically focusing on story structure and what to outline. 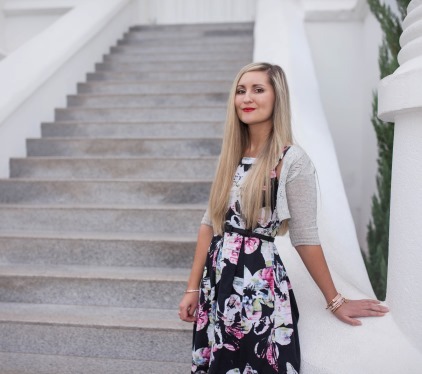 You can visit that post here. Usually when people talk about outlining, they are either referring to what to outline or how to outline. So today, I'll be talking about different ideas on how to outline. 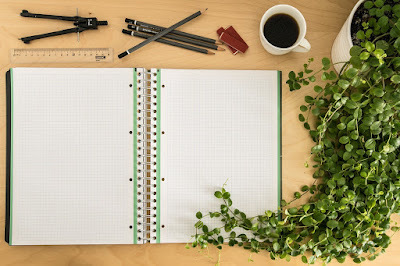 One thing that I probably should have mentioned last time that I'll mention today is that much of outlining stems from brainstorming, so if you are having a difficult time writing down an outline, it may be because you haven't brainstormed enough. 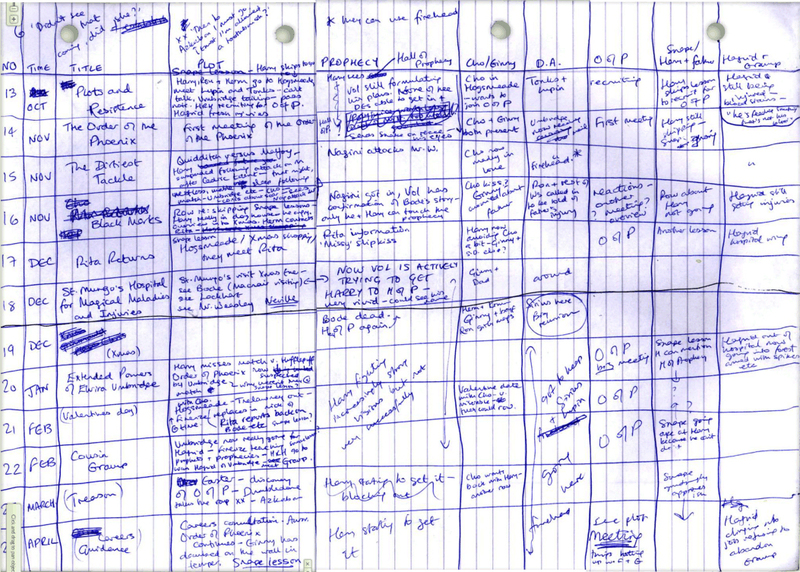 Some writers brainstorm and do an outline simultaneously. So if you are having trouble, ask yourself if you have brainstormed enough. How much you want to outline depends on you. Some writers do a loose outline. Others do outlines that can be over 100 pages long. Some writers like to write scenes on note cards so they can rearrange them. Some use notebooks or scrap paper. Some have a never-ending Word document. You should do what works for you and the outcome you want. Part of learning how you best write is experimenting and trial and error. Outlining is not required. Some writers don't outline at all and discover the story as they go. However, many writers will say that for most people, outlining produces better stories. 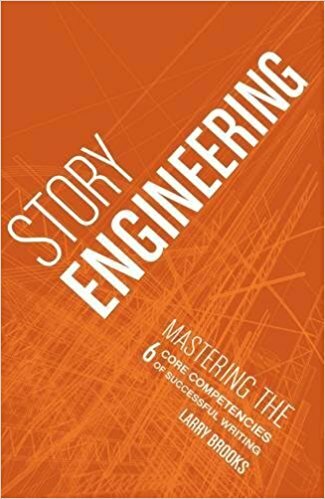 If you like very organic stories, you may not need to outline much of anything, but again, you should (probably) still have a beginning, rising action, climax, and denouement. If you like tighter stories that are more formulaic or that have a lot of mysteries or undercurrents, you should probably outline. Essential to any story is a character in a setting with a significant conflict. You do not need to have all of these things figured out perfectly before you start outlining, but you should have some idea. Some writers only want to do loose outlines. This might simply be 1-5 pages long and might lightly explain the beginning, middle, end; characters; setting; or potential themes. Ally Condie, author of Matched doesn't consider herself an outliner, but she does keep a document full of ideas, notes, and points she wants to hit in her story. A loose outline may be similar, but with a bit more organization or structure. 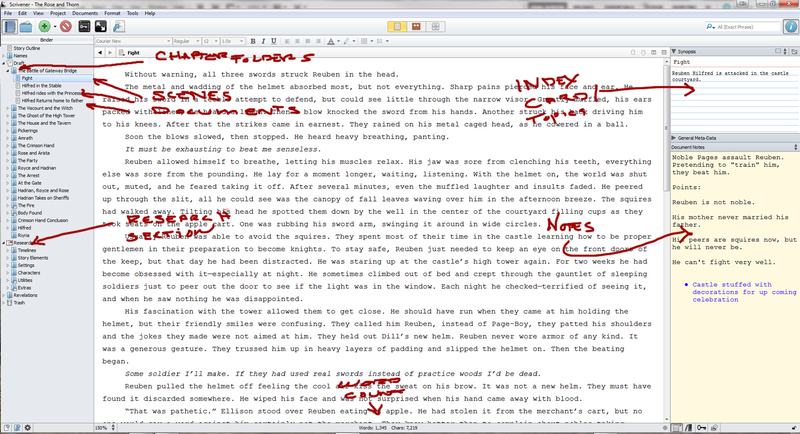 Some writers want a more detailed outline. This might be something that includes all the important and significant parts of a story. Less vague, and more defined. A detailed outline is what it sounds like. It may have each scene of the story included, maybe even mention the setting for each scene, lines of dialogue, micro-conflicts, and small-scale plot devices. The most detailed of outlines can be 100+ pages. As I mentioned, there are a lot of different ways to approach outlining. 1. You may simply have a long document with paragraphs or bullet points. The Durleys start a normal day, but Mr. Dursley runs into all sorts of oddities. That night, an old wizard and a witch wait outside their house. Another wizard brings Harry, and they leave him on the doorstep. Move ahead almost 11 years. Harry is older now. Fill the reader in on what life is like now for Harry at the Dursely. 2. If you have a more detailed outline, it might look like this. Goal: Introduce the readers to the Durselys, while highlighting the oddities that Vernon sees that day. 3. 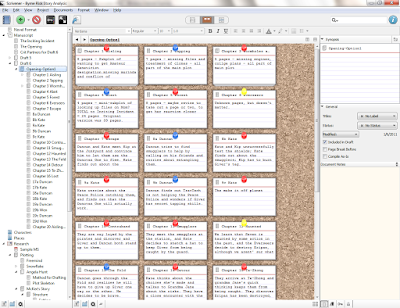 Notecards--Some writers like to write out scene ideas on 3X5 cards or sticky notes, so that they can easily rearrange the scenes as they see fit. 4. Beat sheet--a beat sheet has a story-type already structured, and you get to fill in each beat of the story with your story. Blake Snyder's beat sheet is perhaps the most popular, but you can make a beat sheet with pretty much any story structure, such as the Hero's Journey. You can use this page about the Hero's Journey to make one. I'm not going to go through all of it, but this will give introduce you to the concept. The goal in this plot line is for Dumbledore and Harry to find out how to defeat Voldemort by looking at his past and, then, pursuing Horcruxes. Story Beginning: Harry finds out he will be having private lesson with Dumbledore this year. The lessons will focus on defeating Voldemort. Dumbledore has a blackened, injured hand but won’t tell Harry what happened to it. 1. Harry goes to his first lesson, where they watch a memory of Voldemort’s mother. 2. Harry goes to a second lesson, where they watch a memory of Voldemort as a child. 3. At his third lesson, Harry watches a memory that has been tampered with. It contains young Voldemort asking about Horcruxes. After this lesson, Dumbledore asks Harry to get the real version of the memory from Professor Slughorn, stating it is the most important memory they need. a. Harry tries to get the memory from Professor Slughorn. This process has its own try-fail cycles. 4. Harry attends another lesson. Since Harry failed to get Slughorn’s memory, Dumbledore puts more pressure on him. They watch another memory of Voldemort returning to Hogwarts looking for a teaching position. Goal: Find out what Malfoy is up to. 1. Harry grows suspicious of Malfoy in Diagon Alley. He follows him to a store and tries to figure out what Malfoy is up to, but fails. 3. After Slughorn’s Christmas party, Harry eavesdrops on Malfoy and Snape. Although Harry still doesn’t know exactly what Malfoy’s up to, he knows Snape is supposed to help Malfoy. 4. Harry realizes he can use house-elves Kreacher and Dobby to spy on Malfoy. The house-elves later tell Harry that Malfoy is disappearing into the Room of Requirement. Despite his efforts, Harry can’t get into the room. 5. 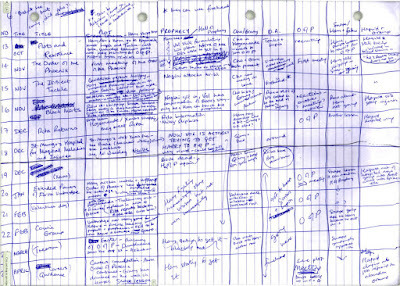 Chapter-by-chapter columns -- below is an image of part of J.K. Rowling's outline for Harry Potter and the Order of the Phoenix (you can click on it to make it larger). 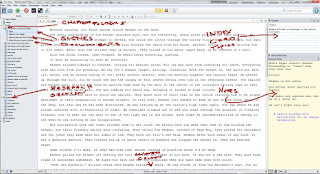 In Scrivener, you can have the document split up in different sections (similar to the table of contents or styles in Microsoft Word), as seen on the left below. You can drag and move each section, color code it, and write notes about it. You can also do a notecard view, as seen in the picture below. Scrivener is the only word processor I use to write stories now. I definitely recommend checking it out. 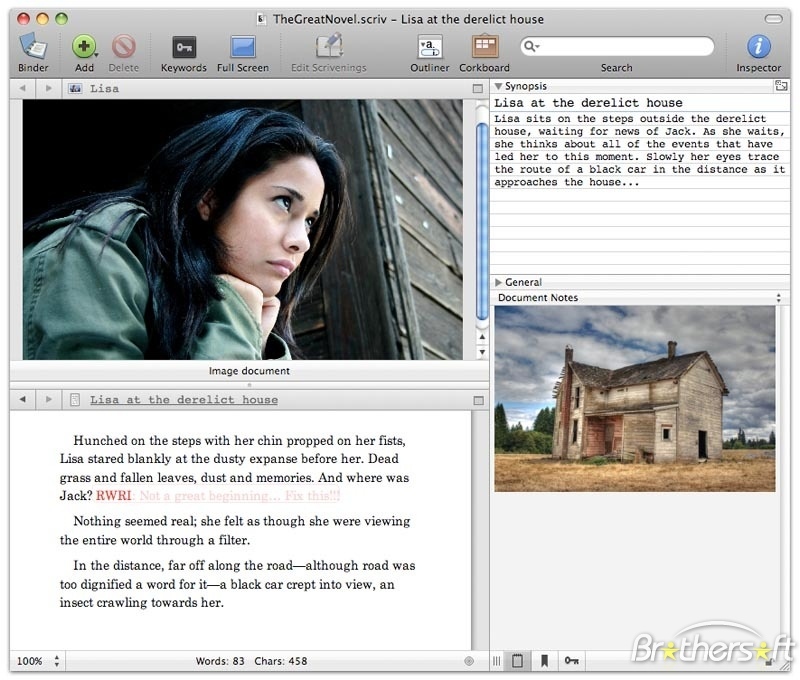 You can learn more or buy Scrivener here. Now go forth and outline!